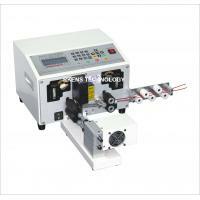 RS-360 is full automatic type wire cutting and stripping machine. It is suitable for both electric single core wire within 16 sqmm and multi-conductor cables with max 12MM OD. Cut length is 0.1-9999MM adjustable. 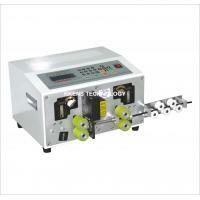 Standard machine can make max 50MM strip length. 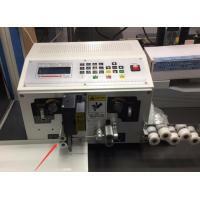 If you need longer strip length, we can modify it to strip 200MM or longer. 2.Suitable for round muti-core cable within 12MM OD. Or electric wire within 16 sqmm. 3. Cut only, or cut and strip at same time. Available wire Muti-core cables, Suitable for PVC/teflon/silica gel line /Glass fiber electrical wires. Strip length Max 50MM. 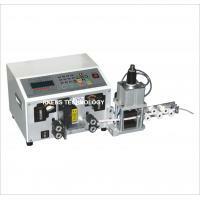 For longer strip length, RS-16T is OK.
1.Fast speed cutting and stripping machine for wiring harness processing. 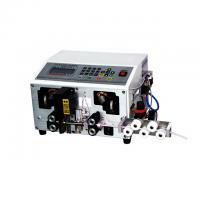 2.Multi-functional machine. 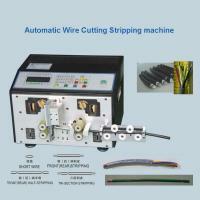 For electric single core wire, multi-conductor cable. 3. LCD display shows parameters. Press buttons to set length, quantity,etc. 4. Nice appearance, simple operation,convenient maintenance, stable performance, speed, precision higher character. 5. Cut length and strip length can be adjustable easily. 6. 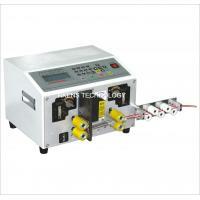 Different working mode for different types of wires. 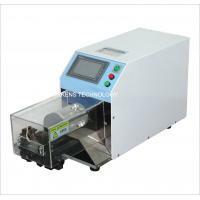 RKENS TECHNOLOGY CO., LTD was founded in 2007. 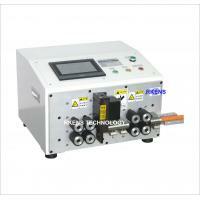 RKENS is the fast growing manufacturer of various equipment, such as SMD counter, Automatic Tube/Tape/Wire Cutting machine, Axial lead forming machine, Radial lead cutting forming machine, wire cutting stripping machine, wire crimping machine, Label machines, PCB depaneling Machines,etc. Our continuing expansion of manufacturing facilities worldwide provides immediate availability of our products and technical support to meet the needs of our customers. 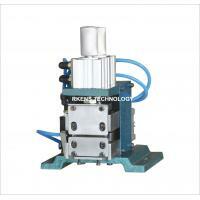 Today, RKENS is an international supplier of high quality equipment. We pledge to continue to provide customers with the good quality and service in the 21st century. 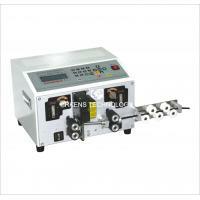 It has the professional research team, sales and production team. 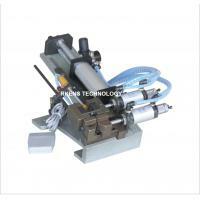 Also it is equipped with advanced production and testing equipment system. With the philosophy that qulity is the soul of an enterprise, we pay much attention to product quality, and strictly manage every process, like raw material purchasing , parts prodution, installation, QC, sales and after-sales service, etc. Because of all our effort and good quality, our products have got good comments from customers around the wolrd, such as customers from USA, Europe and Asia, etc. In the following years,we will devote ourselves to better product and better service to serve our old and new customers. Also we will be open to all our customers and appreciate all feedbacks and advice. 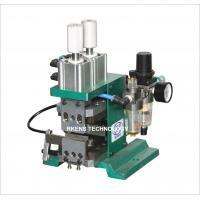 RKENS product management group provides technical assistance on the products being used. You can contact us by phone, fax, E-mail or this website. We guarantee you our prompt attention.